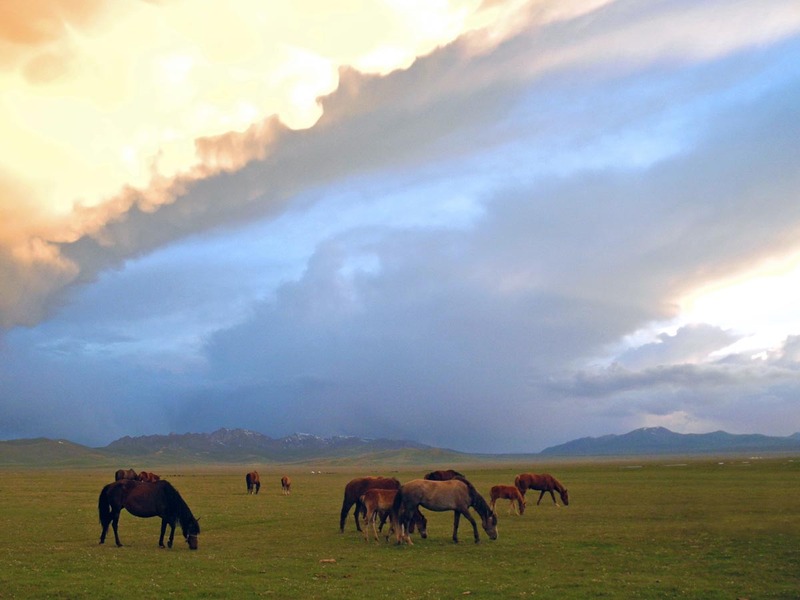 Kyrgyzstan is a nation defined by its topography: joyously unspoilt mountainscapes, stark craggy ridges, and rolling summer pastures (jailoos) are brought to life by semi-nomadic, yurt-dwelling shepherd cultures. 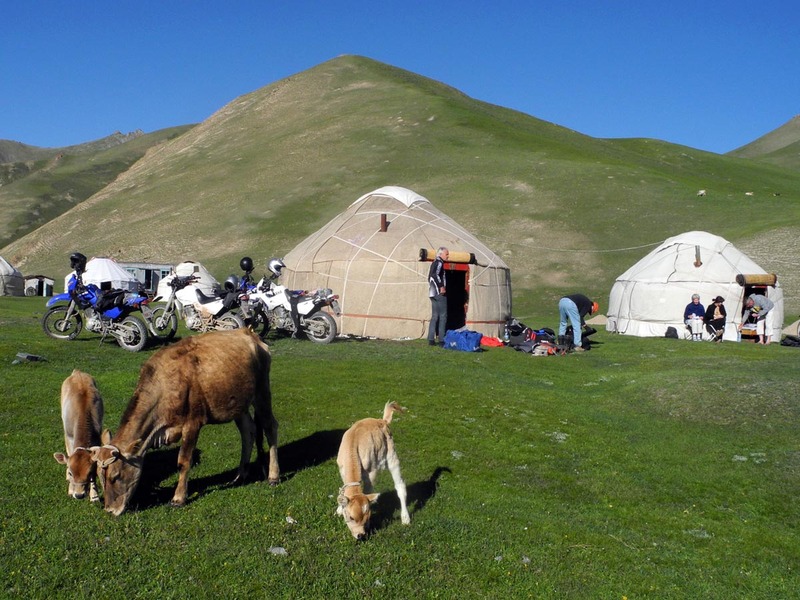 (Lonely Planet - Kyrgyztan) Nights in Homestay's and Yurts get us in touch with locals and their hospitality. Group size Min. 4 and max. 8 riders - space for 4 pillion riders in our follow up car. Day 1 Early morning arrival in Osh. Some time to relax before we meet for Lunch. After a Tour briefing a short ride to get aquinted with the Yamaha XT‘s. The first day‘s ride we follow the highway to the Kyrgyz capitol Bishkek. Day 2 Most likely it‘s gonna be hot so we will enjoy a swim at Toktogul lake right next to our hotel. 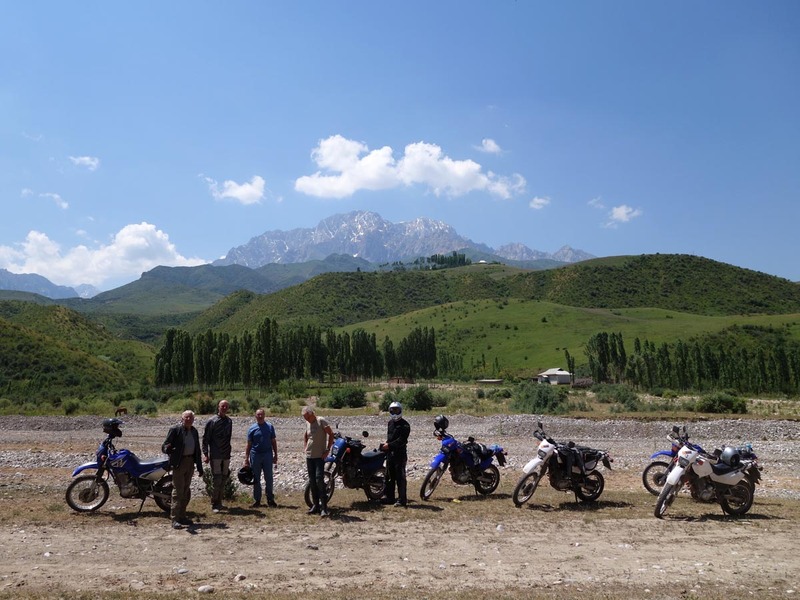 Day 3 We ride up to 3400m and cross the Ala-Bel pass before reaching the high altitude Suusamir plains. Herds of horses, meadows and forests along our way to lake Song-Köl. Here we spent the night at 3000m in Nomad.s Jurts. A good chance that we will enjoy fish, fresh from the lake for dinner. Mostlikely you have never before seen starry heavens like tonight. 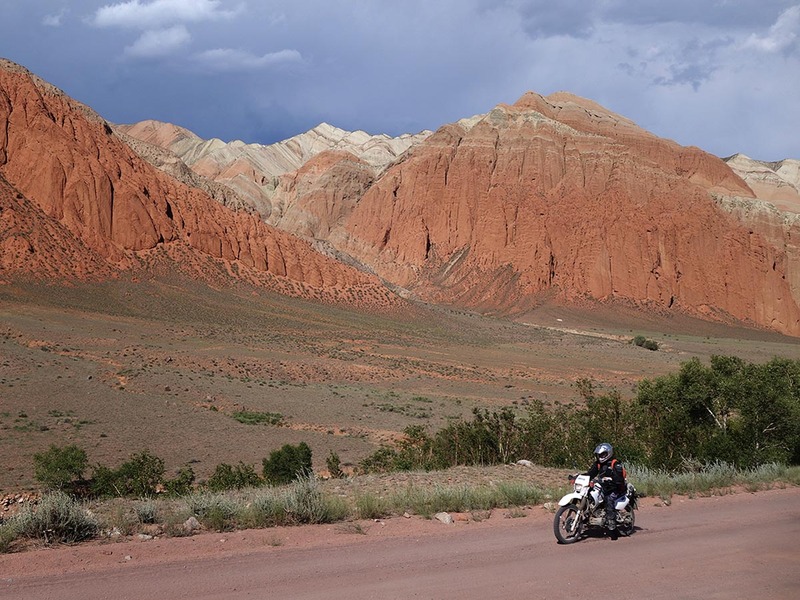 Day 4 A short but spectacular 180km‘s ride brings us to today‘s destination, the Univercity town of Naryn. No doubt that it will take a while since there will be countless opportunities to take great shots. After a „Yurt“ night we will stay in a comfortable Hotel/Guesthouse tonight and we‘ll enjoy our Dinner there as well. 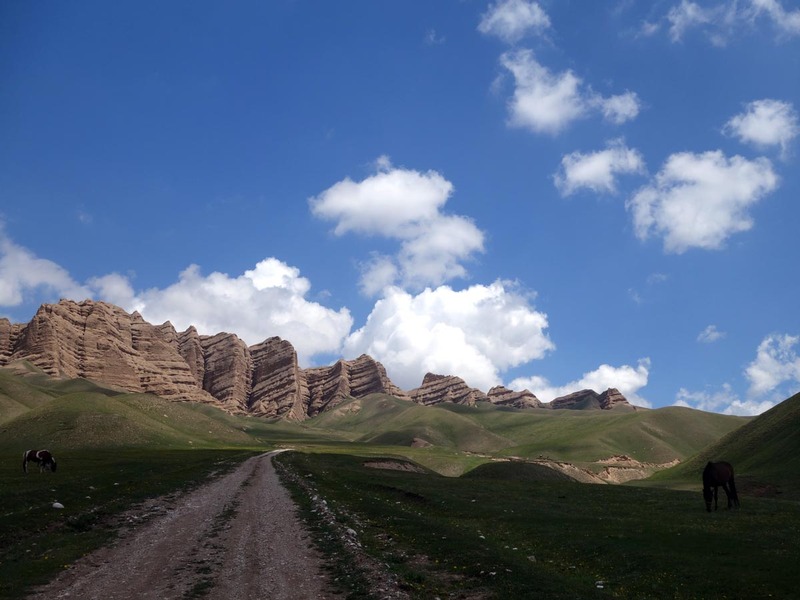 Day 5 A fairly good road through „Marmot Valley“ brings us to the 15th century Caravanserai of Tash Rabat. Our cozy Yurts are set up a few meters from the Caravanserai on a green meadow alongside a gurgling river. Day 6 The scenery and the colors of the mountain ranges are constantly changing today. Good we charged our camera‘s batteries. We cross the passes Kulak-Ashuu 3400m and Kayyun 2930m before reaching the old Goldmining town of Kazerman. Homestay with the restroom across the courtyard reminds of Grandma‘s place. 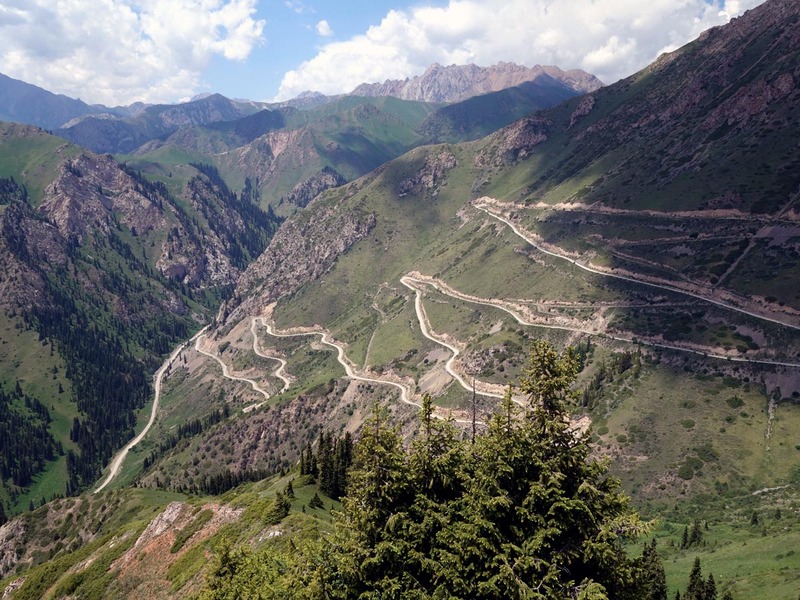 Day 7 A fairly long but nevertheless awesome ride across the 3062m high Kaldaman-Pass makes for a worthy last days ride back to Osh. A farewell Dinner before we leave tomorrow. Day 8 Farewell and good bye Kyrgyzstan!